Do you have free background images for me to create unique style page flipping books? How to use them? 3. 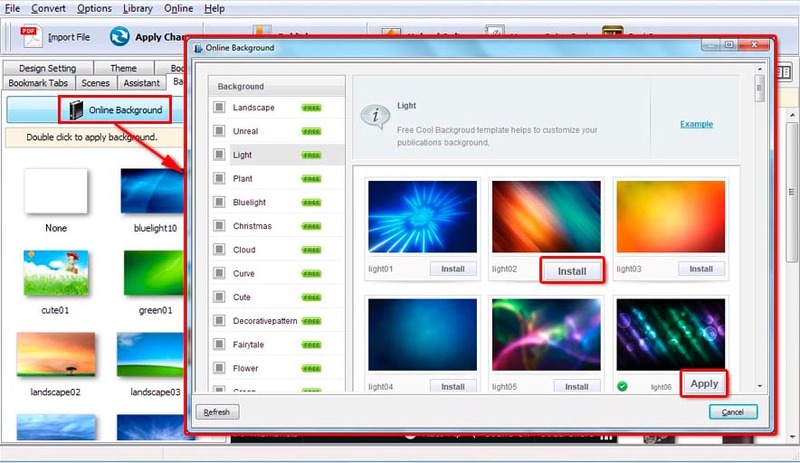 Choose background type in left list and then choose your favorite ones to "Install" in right panel. Click "Apply" after installing directly. You can also find out the installed background in "Background" list. 4. Publish customized book online or output locally as HTML, ZIP, EXE, or Screen Saver.